Sweet Surprise from the Girl Scouts. 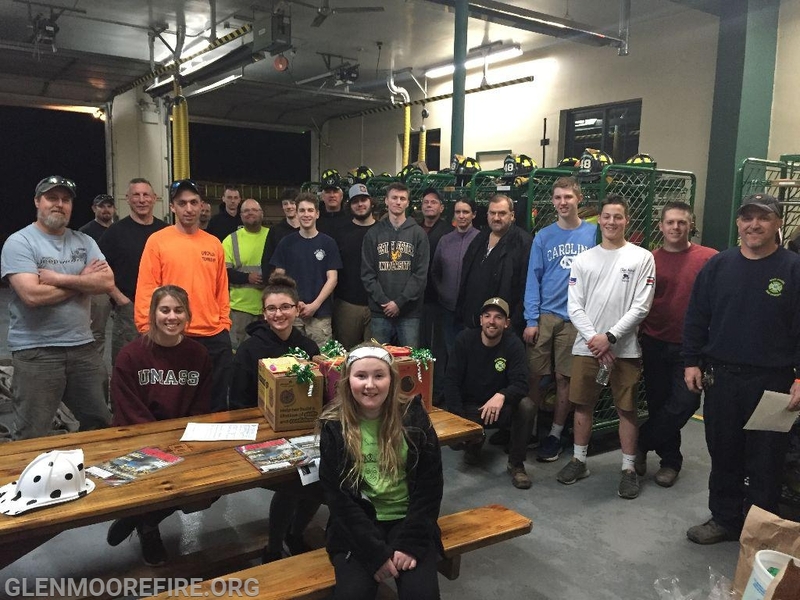 Upon their return from a fire call on Wednesday evening, the volunteers at GMFC were surprised by members of Girl Scout Troop 41332. 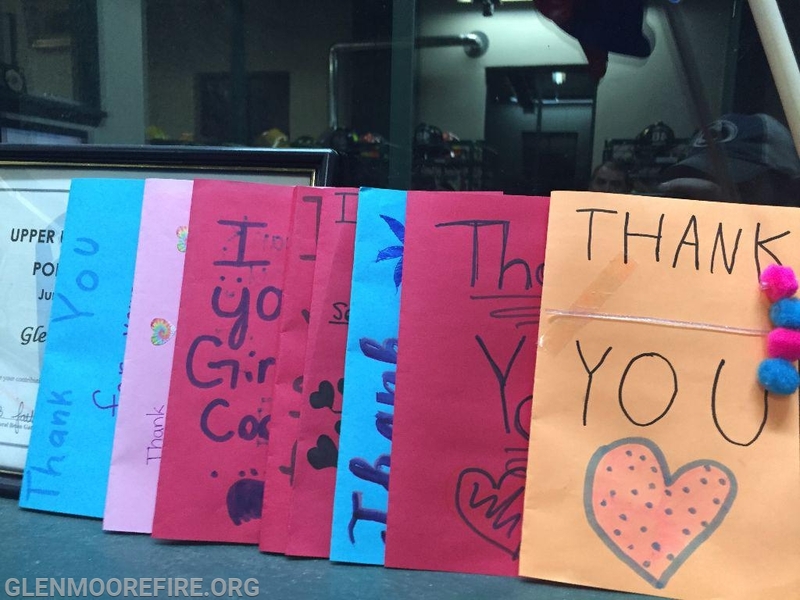 The Girl Scouts had made thank you cards and donated several boxes of Girl Scout cookies to the members as part of their "Hometown Heroes" recognition program. 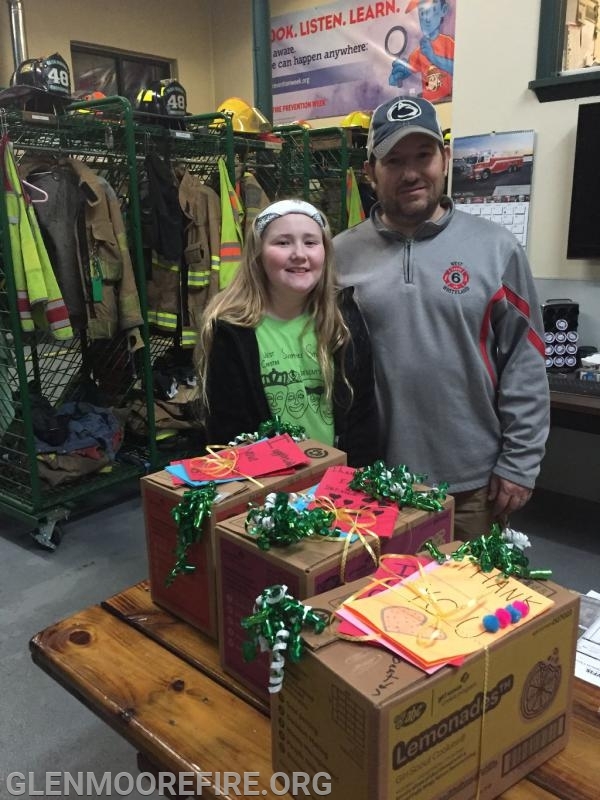 The members of GMFC want to thank the Girl Scouts for thinking of us and for giving us these yummy treats!